The Tulalip Foundation is dedicated to empowering the wellbeing of the Tulalip Reservation and surrounding community. The Tulalip Foundation supports programs and projects that enhance and restore the culture and traditions of the Tulalip Tribes. 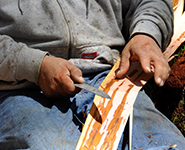 Funding to maintain and promote native traditions and values allows the tribe to share the wisdom of its ancestors with its people and its neighbors. The culture of the Tulalip people teaches tolerance, conservation, sustainability, and many other beautiful and useful philosophies. 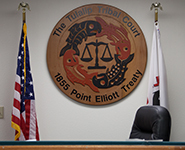 The Tulalip Foundation supports projects and programs that assist community members in accessing the tribal judicial system. A steadily growing tribal judicial system presents an increased need for community-based legal services, which in turn ensures that proceedings are fundamentally fair. The Tulalip Foundation supports projects and programs that provide culturally sensitive and holistic representation for tribal members. 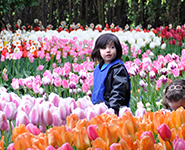 The Tulalip Foundation supports projects and programs that help the community to succeed in education. In the past, education institutions sought to eradicate the traditional Lushootseed language and traditional ways of life. The Tulalip Foundation supports projects or programs that help restore the Tulalip people and help them to succeed in the pursuit of their educational goals.